The <denyByConcurrentRequests> element specifies that a remote client will be blocked if the number of concurrent HTTP connection requests from that client exceeds a specific number. 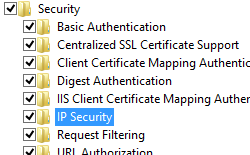 IIS 10.0 The <denyByConcurrentRequests> element was not modified in IIS 10.0. IIS 8.5 The <denyByConcurrentRequests> element was not modified in IIS 8.5. 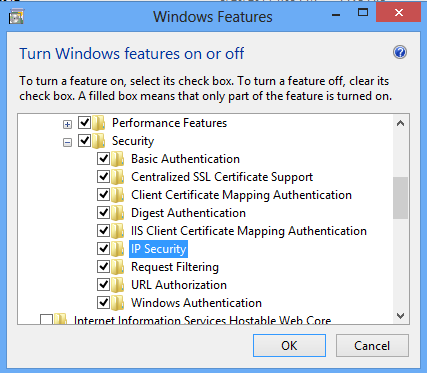 IIS 8.0 The <denyByConcurrentRequests> element was introduced in IIS 8.0. 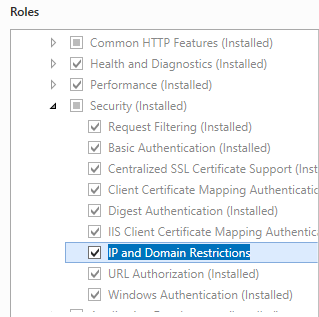 To support blocking a client on your Web server by the number of concurrent requests, you must install the IP and Domain Restrictions role service. 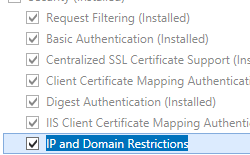 In the Connections pane, select the server name to add dynamic IP restrictions for the server, or expand Sites and then select a site to add dynamic IP restrictions for the site. 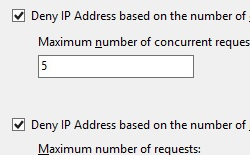 In the Dynamic IP Restriction Settings dialog box, select Deny IP Address based on the number of concurrent requests, enter the maximum number of concurrent requests, and then click OK. The <denyByConcurrentRequests> element is configured at the server or site level. Enables a remote client to be blocked based on the number of concurrent HTTP connection requests from that client. The number of concurrent HTTP connection requests from a client that will result in the client being blocked. 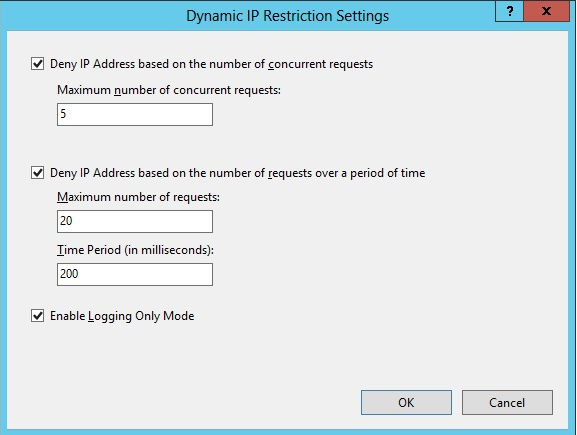 The following configuration sample demonstrates how to set dynamic IP address restrictions. The following examples configure <dynamicIpSecurity> for a site. Set-WebConfigurationProperty -pspath 'MACHINE/WEBROOT/APPHOST' -location 'Default Web Site' -filter "system.webServer/security/dynamicIpSecurity" -name "denyAction" -value "Unauthorized"
Set-WebConfigurationProperty -pspath 'MACHINE/WEBROOT/APPHOST' -location 'Default Web Site' -filter "system.webServer/security/dynamicIpSecurity" -name "enableProxyMode" -value "True"
Set-WebConfigurationProperty -pspath 'MACHINE/WEBROOT/APPHOST' -location 'Default Web Site' -filter "system.webServer/security/dynamicIpSecurity" -name "enableLoggingOnlyMode" -value "True"
Set-WebConfigurationProperty -pspath 'MACHINE/WEBROOT/APPHOST' -location 'Default Web Site' -filter "system.webServer/security/dynamicIpSecurity/denyByConcurrentRequests" -name "enabled" -value "True"
Set-WebConfigurationProperty -pspath 'MACHINE/WEBROOT/APPHOST' -location 'Default Web Site' -filter "system.webServer/security/dynamicIpSecurity/denyByRequestRate" -name "enabled" -value "True"